The Skyrunner World Series (SWS) arrives at the Limone Extreme Skyrace in northern Italy for the final round of the Sky division series. Limone is on the shores of Lake Garda and affords beautiful views across the lake from the peaks that runners will traverse as they race the 23-kilometer course. The men’s Sky series race is really between Italy’s Tadei Pivk, who leads by a 34-point margin over Spain’s Manuel Merillas, 366 to 332 points, respectively. The women’s series remains much more open. With 364 points, Spain’s Laura Orgué leads Italy’s Elisa Desco by 14 points followed by Spain’s Maite Maiora at 42 points off the lead. American Megan Kimmel has huge potential, as she has 300 points but that’s out of only three races scored. Last year’s SWS Sky division champion and fellow American Stevie Kremer has 254 points and although not mathematically out of contention for the championship, she will be giving her all to see if she can make an overall second or third place. To put this all into context, it’s 100 points for the win, 88 for second, and 78 for third with the added flavor of a bonus 20% added after that because this is the final race in the series. Do the math and you can see that anyone of these men and women could be crowned the SWS Sky champion of 2015. Given that Limone is just plain a highlight of the Euro mountain-running season, the competition is heightened by plenty of men and women who aren’t competing in the Skyrunning series. As with many Skyrunning events, the weekend includes a Vertical Kilometer (VK), the last of this year’s SWS VK division, and many runners will take on both events. The added fun for Limone is that the VK is held at night with stunning views of Limone and Lake Garda lit up in the early evening. iRunFar will be providing some race-day coverage. Stay tuned! Tadei Pivk (Italy) was fifth here in 2014, but his 2015 has been incredible. In 2015, he won the Zegama Marathon (interview) and Dolomites Skyrace, and he was second at The Rut 25k. A couple weeks ago, he was third at the Lantau 2 Peaks 23k. Tadei finished fourth in the 2014 SWS Sky division, so he should move up several positions this year. Manuel Merillas (Spain) finished 10th here last year, and was seventh in the 2014 SWS Sky division. In 2015, he finished second to Tadei at Zegama, and second also at Matterhorn Ultraks and Lantau 2 Peaks, but ahead of third place Tadei at Lantau. While he trails Tadei in the series rankings, he’s beat him once this season, proving his potential to do so again and take this year’s Sky series. 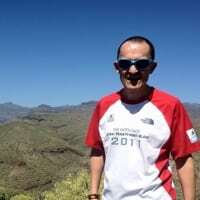 Aritz Egea (Spain) sits in third in the 2015 SWS Sky series, with his best performances so far being a third at Matterhorn Ultraks and fourth in Zegama. His main concern on the weekend will be staying ahead in series points over the men sitting in fourth, fifth, and sixth places as they are just four, four, and six points back, respectively. Tom Owens (U.K.) is in fourth in the SWS Sky rankings via these strong performances: fourth at the MSIG Sai Kung 28k and two sixth places at Dolomites and Matterhorn Ultraks. It’s just a six-point spread between third and sixth places in the series rankings with all those men racing this weekend, any man’s game for the third spot on the podium. Marco de Gasperi (Italy) placed fourth here in 2014. He sits in ninth in the Sky series rankings for this year, with two third-place finishes at the MSIG Sai Kung 28k and The Rut 25k. He probably won’t move up too much in the series rankings, but he’s always a race influencer, gunning it from the get go. Martin Anthamatten (Switzerland) – Currently 6th in the SWS Sky series, but only six points out of third. He’s on his way up in the sport right now, so he’s a great bet for moving up onto the series podium. Rémi Bonnet (Switzerland) – Another rising star, he’s in 11th in the SWS Sky ranking, but that’s via just two series races wins at The Rut 25k and Lantau 2 Peaks. He won’t podium in the Sky series this year, but watch out for this young skimo athlete turned trail runner both for the podium this weekend and in the future. Laura Orgué (Spain) took fourth here at Limone last year. In 2015 SWS Sky series races, she’s won the Ti Dodo Trail 25k and has had three second-place finishes at Dolomites, The Rut 25k, and Lantau 2 Peaks 23k. She was the 2014 SWS VK Champion and she took fourth place in the 2014 SWS Sky division. It looks like she’ll move up several spots in the Sky series this year as long as she races well on the weekend. Elisa Desco (Italy) took third place here in 2014 and was also third in the 2014 SWS Sky division. She’s 14 points out of first position in the series with wins at the MSIG Sai Kung 28k and Matterhorn Ultraks. Anatola Confortella Wyatt (Italy) is a 2006 Winter Olympics bronze medalist in Nordic skiing who is married to mountain-running star Jono Wyatt. She competes in shorter-distance mountain races around Europe. This summer, she edged Laura at the La Sportiva Skaala Uphill, an 8.2k race. Can anyone provide beta on if and how Anatola’s raced at slightly longer mountain races? Maite Maiora (Spain) is the returning Limone Extreme Skyrace champion, and she finished second in the 2014 SWS Sky series. Her best performance in the series so far this series is a second to Laura at the Ti Dodo Trail 25k. Megan Kimmel (USA) is the best-performing female in the SWS Sky division this year. She has three victories at Dolomites, The Rut 25k, and Flagstaff Skyrace. While she’s in fourth in the series so far, she could win the series with a near-the-top performance this weekend. Stevie Kremer (USA) was the 2014 SWS Sky Champion and she was second here in 2014 behind winner Maite. Stevie’s best performances so far this year in the series have been a win at the Buffalo Stampede Skyrace and a second place behind Elisa at Matterhorn Ultraks. Yngvild Kaspersen (Norway) is yet another rising Skyrunning star. A couple weekends ago she won the Lantau 2 Peaks in horrific weather. She’s in sixth place in the SWS Sky series ahead of this weekend. Anna Comet (Spain) – 4th at 2015 Matterhorn Ultraks. With her 2nd at Transvulcania (interview) and 5th at Ultra Pirineu in 2015, the skimo star turned trail runner is proving herself well. We’ve no doubt missed some local mountain-running stars and Limone experts. Let us know in the comments section who you think should be added to this preview and why. Who do you think will take the women’s Limone win? And which woman will come out on top of the Skyrunner World Series Sky division for 2015? What about the men? Who will win this race and the SWS Sky series? @tedrunsslow19, you are 100% correct. I mislabeled our photos from The Rut’s races. Very sorry and thanks for the catch. Should all be okay now.